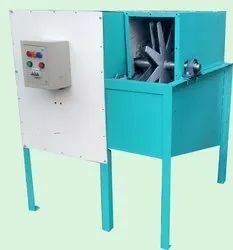 We are a leading Manufacturer of matured dehusked coconut cutting machine from Coimbatore, India. Usage/Application For Cutting Dehusked Coconut in to two Equal halves. Made up Of MS Structural and SS Material of Working Capacity of 1200 - 1600 Nuts / HR Operated by 3 HP Motor and 1 HP Geared Motor. Packaging Details: Pallet Packed With Stretch Wrap Flimmed.